Kendra Fortmeyer grew up in the lushly magic swamp-woods of North Carolina. She now lives and writes in Austin, Texas, where she received an MFA in fiction from the New Writer’s Project. A former teacher and youth librarian (and forever feminist), she’s had the great joy of working with heaps of hilarious, brilliant and wonderful teens, and is passionate about giving their voices a home in her work. She’s worked as a wilderness ranger in the Blue Ridge Mountains, tried her hand at blacksmithing, and drinks an absurd amount of tea. A recipient of a grant from the Elizabeth George Foundation, Kendra won a 2017 Pushcart Prize for her story “Things I Know to Be True” and she is a member of the Clarion Science Fiction and Fantasy Writers’ Workshop class of 2016. 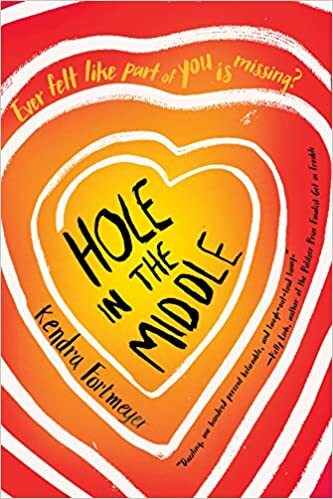 Her short fiction has been widely published and her debut young adult novel, HOLE IN THE MIDDLE, was published by Atom/Little, Brown UK in 2017 and is forthcoming from Soho Teen in the US in 2018.